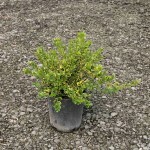 A slow growing, compact shrub. 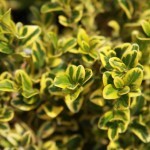 The small leaves are a glossy dark green with bright yellow margins. It prunes well. Use in the border, for a small hedge, or mass planting.